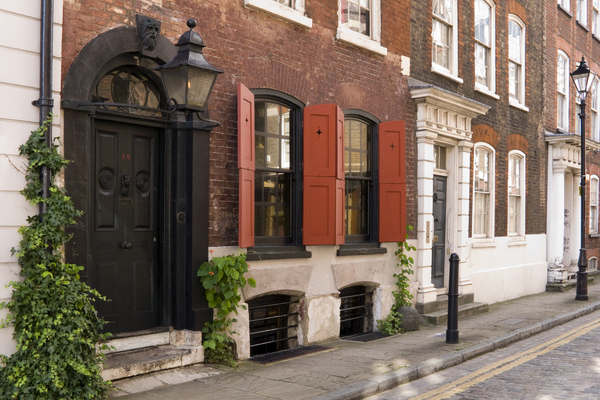 Originally part of the St John's and Tillards Estate, when Folgate Street was known as White Lion Street. 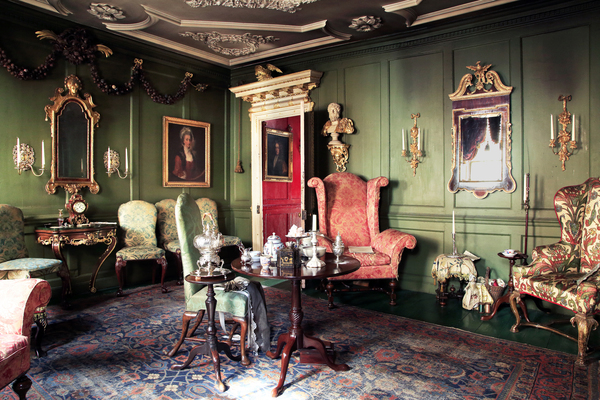 The house retains its panelled interior and staircase of 1724, and was altered in the early 19C. 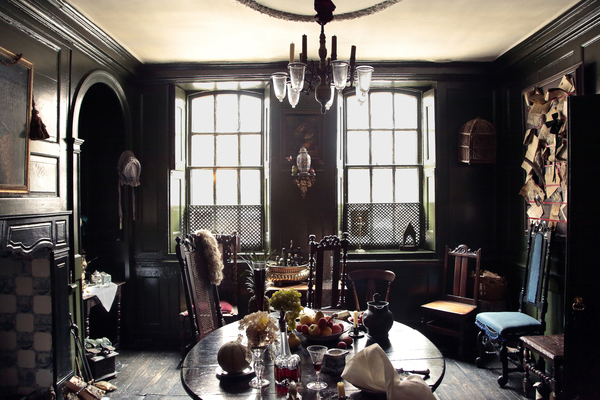 Dennis Severs was an artist who used his visitors’ imaginations as his canvas and who lived in the house in much the same way as its original occupants might have done in the early 18th Century. This he did for his own personal enjoyment as well as for the harvest of an atmosphere, which he then employed to provide the visitor with an extraordinary experience. To enter its door is to pass through a frame into a painting, one with a time and life of its own. It is the smell of food that first aligns your imagination with the faces around you in portraits. 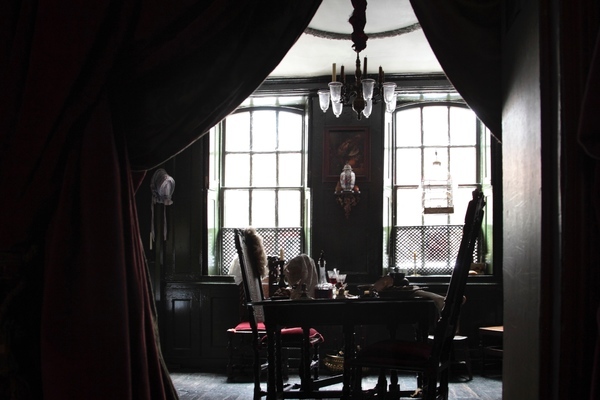 Then … Mr. Jervis’ wig, is it not the very same one that hangs over the back of his chair? His meal is only half eaten; did he abandon it when he heard us arrive? Visitors begin to do what they might if indeed they had travelled through a frame into a painting: use what they sense to piece together the scene they had missed. 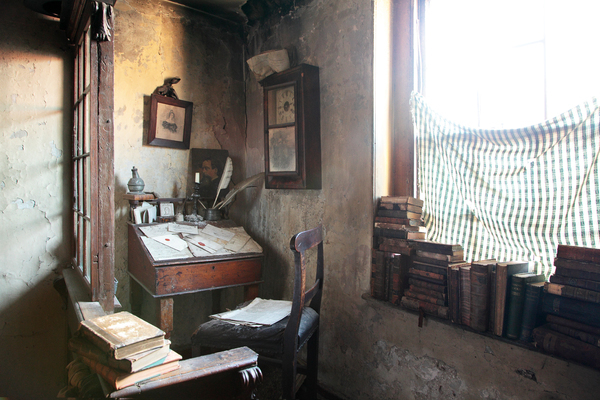 Thus, and this was Mr Severs’ intention, what you imagine … is his art. It’s fun and now after almost thirty five years the experience ranks as one of the rarest in the world. David Hockney once rated its effect as standing amongst those of the world’s great opera experiences. Mr Severs spent a lifetime peering past sitters in paintings in search of the light and moods that lie in the air of Other Times. Sharing what he found and created here is what a visit to the house is all about. 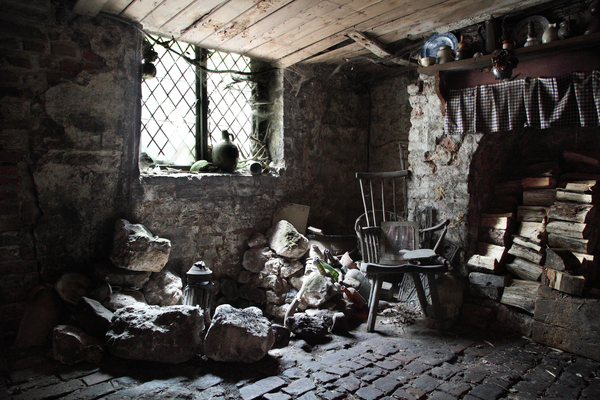 A rare thing to experience first hand: the warm, smoky light captured by the Old Masters; the creak of footsteps on wood; whispers and opening doors; arresting reflections, mixtures, textures and smells; the ticking and chiming of clocks; a cat and a canary. All this Mr Severs gave while at the same time encircling it with a picture he painted with recorded sound of a larger 18th Century world brooding outside its perimeter. Spellbinding … and at its core something very rare: soul, the bonding warmth of a generous family’s presence. The experience is conducted in silence. Its level is poetic and unlike anything, so works best on those who are endowed, willing and able to meet it halfway. The house’s motto is “you either see it, or you don’t”. Post-materialist, it seeks to remind the visitor of a specific thing: what we cannot see is essential to what we do. 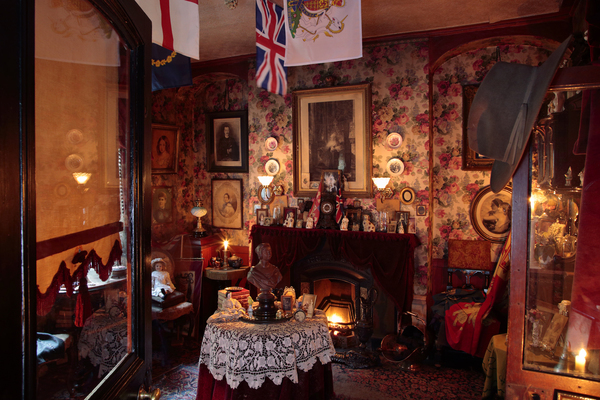 Be warned, it is a mistake to trivialise or pigeonhole the experience into any of the mothball camps: “heritage”, “local history”, “antiques”, “lifestyle” or “museum”. A visit requires the same style of concentration as does an exhibition of Old Masters. 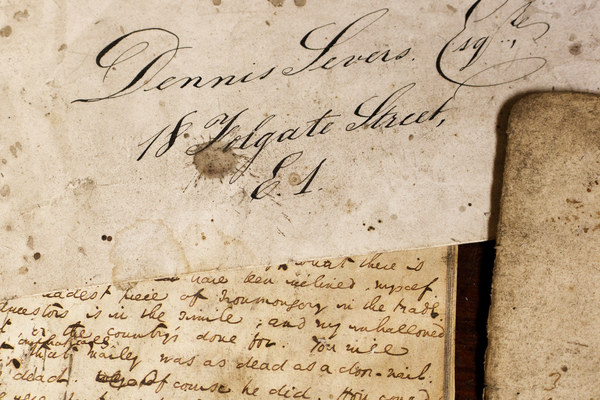 Dennis Severs called his unique spectators sport “still-life drama”, and his goal was to provide his visitors with a rare moment in which to become as lost in another time as they appear to be in their own. He proved that the formula amounts to the same in any time, that getting caught up in it all is what we call “now”.